The cool fall weather is approaching and it is the perfect time to turn on the oven and bake! 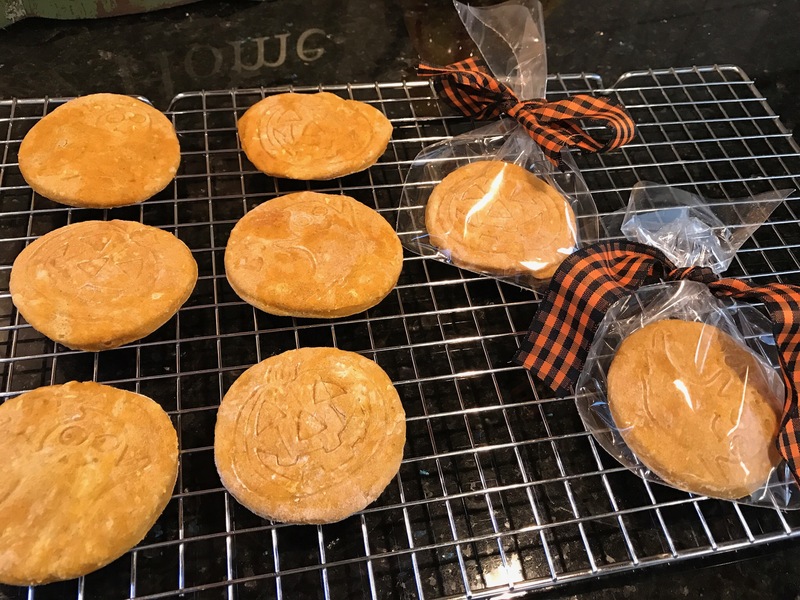 This recipe is a perfect fall treat for your dog. The aromas of the cinnamon, apple and pumpkin will fill your kitchen and make your dogs tummy rumble. These ingredients also are super healthy. Pumpkin is great for digestion, cinnamon helps with inflammation, apples have vitamin A and C and fiber too, coconut oil is great for your dogs skin and fur. You can also give these yummy treats as gifts to your doggy friends and family for the holiday season. You can put them in a cookie bag and dress it up with ribbon or stickers too! In a large bowl add your coconut oil, flour, pumpkin puree, unsweetened applesauce and cinnamon. The mixture will be sticky so use some flour to roll out the dough. Cut out your shape with a cookie cutter, then place cookies on a cookie sheet lined with parchment paper. Bake in the oven for 25 minutes for a softer chewy cookie. If you want it crisper bake it a little longer. Store cookies in an air tight container. They will last out 2-3 days or refrigerate the cookies for a week.Makes 20 round cookies and a bunch of mini treats.